An accident is just that—an accident. INFINITI can help you be in control, especially in those first crucial minutes after it happens. We also provide the information that can help you get your INFINITI safely back on the road as soon as possible. 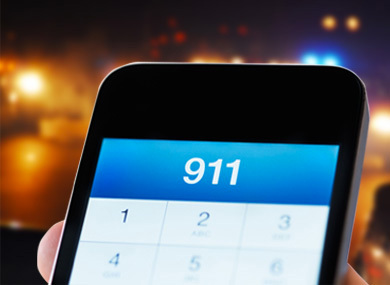 If there are injuries, call 9-1-1 immediately. Drive the vehicle out of traffic lanes if it’s safe to do so. Make sure everyone is a safe distance from passing vehicles before exchanging information. Year, make, model, color, and license plate number of other vehicles involved. Name, address, home, work and cell phone, driver’s license number, and insurance carrier and policy number of all drivers involved. Get contact information for any witnesses. Do it while it’s fresh in your mind. Draw a simple diagram of the accident. 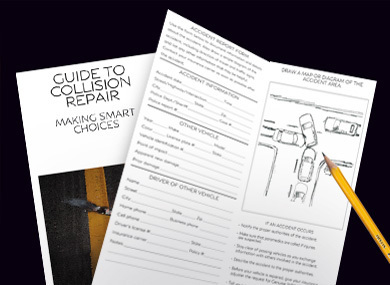 Include details such as point of impact, observations about the other driver’s behavior, or actions that may have impacted the crash. Call INFINITI Roadside Assistance at 1.800.662.6200 for complimentary towing* to the nearest INFINITI Certified Collision Center. They will send an adjuster either to your home or to the body shop where the vehicle was towed to assess damage. Keep it in your glove box so it’s there when you need it. 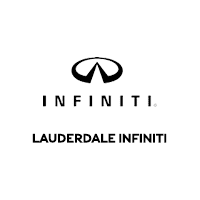 *For complete information concerning coverage, conditions, and exclusions, see your INFINITI Retailer and read the INFINITI warranty.